Na Píobairí Uilleann (NPU) are delighted to announce the appointment of Tommy Keane as Honorary President of the organisation. The position of Honorary President of NPU was established in 2002 and the role was filled with great distinction by the inaugural President Seán Potts from 2002 until 2014. Following Seán’s passing the late Liam O’Flynn served as President for three years with distinction. At a recent board meeting it was considered timely to find a suitable person to fill the role and succeed Liam. Waterford piper Tommy Keane was the unanimous choice of the Board in recognition of the outstanding service he has given to NPU and to piping over many years. Tommy was first taught by the late Tommy Kearney and his piping has been influenced by eminent pipers Tommy Reck, Seamus Ennis and Willie Clancy. Tommy has performed and recorded with a wide range of artists including De Dannan, Elvis Costello and The Pogues. He released a solo album ‘The Pipers Apron’ in 1991 and a duet album with his wife Jacqueline McCarthy ‘The Wind among the Reeds’ in 1997, both to great acclaim. Tommy has also taught extensively both for NPU and at various festivals worldwide. 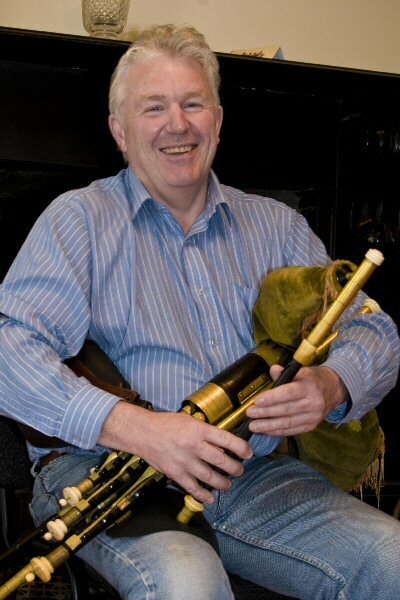 Following his service as Chairman of NPU from 2014 to 2018 Tommy oversaw the introduction of the Governance Code, and the decision by UNESCO to have uilleann piping inscribed on its inventory of intangible cultural heritage. We are delighted that Tommy has agreed to accept the position as the third Honorary President of NPU.